Before being signed into law, the bill was approved 46-1 by the Senate and 97-0 by the House. 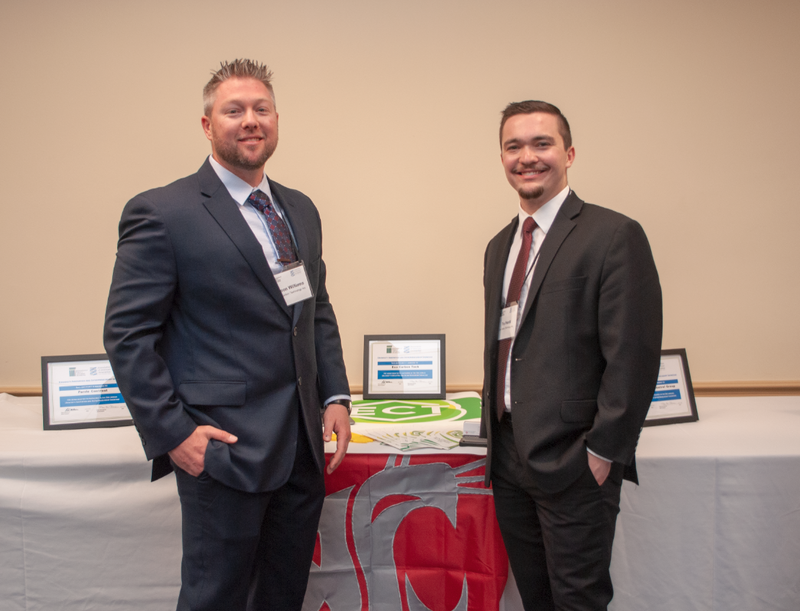 WSU Start-Up featured in University Innovation and Entrepreneurship Showcase in DC. The ECT startup is a unique, multidisciplinary team of students working together to solve the problem of bee death and colony collapse. This startup was created after the development of the Beetoxx technology in 2017. The invention team for Beetoxx consists of two Washington State University researchers, Brandon Hopkins, Entomology Professor and Waled Suliman, Postdoctoral Research Associate for Biological Systems Engineering. They developed a food supplement that helps bee colonies survive the toxic effects of pesticides by using a carbon micro-particle beekeepers can add to meals that removes pesticide residue from the bees’ digestive system. The entire ECT effort is comprised of two teams working in parallel. The research team worked on generating more data about the effectiveness of the Beetoxx technology under different conditions. Within the research team, they have one graduate student who works closely with the inventors; his name is Saffet Sansar, Master of Science Student at Entomology department. The Commercialization team worked on planning and strategizing towards marketing the technology and now consists of Rachelle Muzones (2018 Bioengineering Graduate), Jason Williams (Entrepreneurship, Business Management expected graduation 2019), and Tru Petrilli (2018 Entrepreneurship Graduate); all of whom had a background in business and entrepreneurship enabling both the research and commercialization team to co-found their startup; Eco Carbon Technology Inc.
Jason Williams (right) and Tru Petrilli (left) represented ECT and WSU at the University Innovation and Entrepreneurship Showcase on April 9th, 2019. 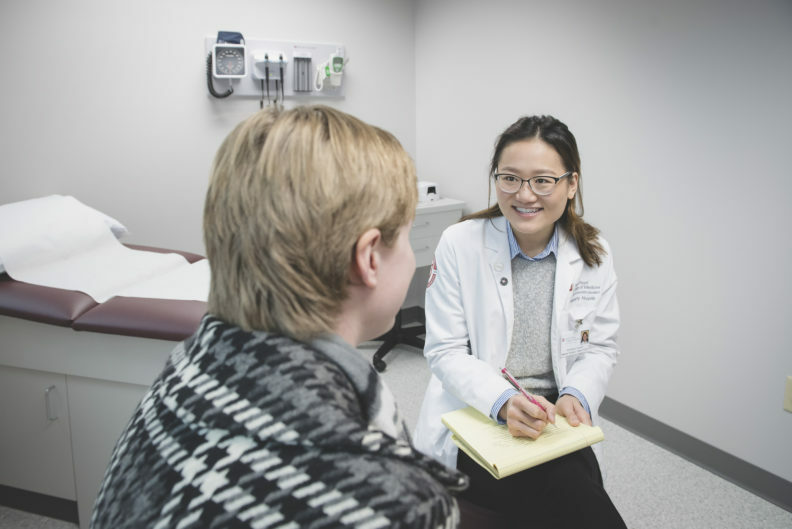 HB 1726 is a student-led bill put forward by a group of WSU College of Pharmacy students seeking to widen the scope of possible preceptors allowed to supervise students performing basic medical care services at health fairs and other such events. Currently students must be supervised by a professional from their own discipline in order to provide any type of health care service, but this has led to a number of lost opportunities for students if a preceptor in their designated field is unavailable or forced to cancel due to unforeseen circumstances. HB 1726 would limit these situations from occurring and allow for increased opportunities for inter-professional training by allowing students in the fields of pharmacy, medicine, and nursing to be supervised under certain circumstances by preceptors licensed in any of these disciplines. The bill previously passed off the House floor with a unanimous vote of 95-0. In February, the ASWSU Health Sciences students leading the bill testified on the benefits of this legislation and shared the monumental amount of work they put into constructing the bill in partnership with several state and national stakeholders. The bill will now head to the Governor’s desk for his consideration. The bill previously passed out of the House with a vote of 89-6. Today’s Senate floor vote of 43-1 means the bill will now move to the Governor’s desk to be acted upon. You can watch the Senate Floor debate on HB 1563 below. The capital budget proposal unveiled in the state Senate this morning funds most of WSU’s top priorities. The governor’s proposal was released in December and the House proposal was introduced Monday. Negotiators will now work to hammer out a compromise to send to the governor’s office. Here’s a rundown of where things stand. The university’s $36.4 million construction request to complete the new home of the Washington Animal Disease Diagnostic Lab is now funded in all three budget proposals. The $27 million construction request to build a new academic building at WSU Tri-Cities is now funded in all three proposals. The university’s $500,000 request for pre-design of a new Biomedical and Health Sciences Building at WSU Spokane is also funded in all three proposals. The $4 million request to design a Life Sciences Building at WSU Vancouver was included in the Senate proposal. The governor’s budget also funded the project, but the House budget did not. Both the Senate and House budget proposals included $10 million to support a land purchase to support future growth at WSU Everett. The governor’s budget was the only one to fund WSU’s $4.9 million request for STEM teaching lab renovations in Pullman. You can view WSU’s testimony on the Senate’s capital budget below. Capital budget writers in the state House of Representatives today unveiled a proposal that fully funds WSU’s two construction priorities — the $36.4 million to complete the Global Animal Health II project in Pullman and $27 million to construct a new academic building at WSU Tri-Cities. Partial funding was provided by the Legislature last year to begin construction on Global Animal Health II, which will be the new home for the Washington Animal Disease Diagnostic Lab. Securing funds to complete the project is WSU’s top capital budget priority. The WSU Tri-Cities project is needed to help the campus accommodate enrollment growth. The proposal also included funding for the following. Notably missing was WSU’s $4 million request to design a new Life Sciences Building in Vancouver and its $4.9 million request for STEM lab renovations in Pullman. The Senate will unveil its own version in the days to come before the Legislature negotiates a compromise to send to the governor’s office later this spring. The operating budget proposal unveiled today by leaders in the state House of Representatives partially funds WSU’s top priority by providing $10.8 million in core funding for the Elson S. Floyd College of Medicine over the 2019-21 biennium. That would complete funding for the medical school’s original annual cohorts of 60. But it did not provide funding to allow the medical school to begin admitting an additional 20 students beginning this fall as planned. The university’s total operating request for the college is $14.4 million. The budget proposal also provides funds for compensation adjustments for faculty and non-represented staff, though that was still being analyzed early this afternoon. The Senate is expected to introduce its own budget proposal in the days to come in time for legislative leaders to agree on a compromise version to send to the governor’s desk by this year’s April 28 scheduled adjournment. The state’s Economic and Revenue Forecast Council this morning delivered a quarterly report that increases anticipated tax collections for the remainder of the 2017-19 budget cycle and the new one that begins July 1 by $860 million. That brings anticipated revenues for the 2019-21 biennium to $50.56 billion, or 9.6 percent higher than in 2017-19. Budget writers in the House and Senate will use these assumptions to write their budget proposals that they’ll begin rolling out next week. The baseline forecast approved by the council assumes slowing economic growth but does not assume the onset of a recession. It does note that Washington employment projections are a bit lower and that Washington exports are down. You can find the full report here and the press release from the state budget office here. Tax collections over the past month once again outperformed expectations, delivering a bit of good news leading up to Wednesday’s quarterly revenue forecast that legislative leaders will use to write their budget proposals this spring. Since the November forecast used by Gov. Jay Inslee to write his proposal, collections are up $171.9 million, or 2.6 percent higher than projected once you back out one-time large payments that are not attributable to economic activity. The report notes a cooling Seattle housing market and a notable reduction in agricultural exports. You can view the report here.